Colin Tizzard Trainer to Cheltenham Gold Cup winner Native River and King George VI winner Thistlecrack will look to give them both there seasonal reappearances in the Betfair Chase at Haydock on the 24th November. Thistlecrack was set to make his return last weekend in the Charlie Hall Chase at Wetherby but when horse after horse was dropped out only leaving four in the field and the ground conditions not easing keeping the conditions soft, Tizzard decided to look elsewhere for 2016 superstar to start his season. The 10 year old has been seen three times since his victory in the King George at Kempton and has fell short on every occassion in what has been a tough few years for the classy horse who has been struck with some career threatening injuries during his life as a racehorse. However when last seen he started to look more like the horse we have grown to know being a good fourth behind Might Bite in the King George only being beaten by six lengths. The horse was given options in handicap races like the Ladbrokes Trophy and the BetVictor Gold Cup but trainer Colin Tizzard has decided he wants to see his horse off level weights and this will see him go to war with his stablemate Native River, who is raring to go for the new season and Might Bite for Nicky Henderson in what is set to be a superb spectacle for national hunt racing fans. (Credit At The Races) Tizzard said: “He’s fit and well, and we will probably go to Haydock. We’ve entered him in some handicaps, but that is to cover all bases in case the ground stops us. The first Grade 1 of the year over the fences is set to be arguably one of the best races of the season with many of the big boys from last year that went on to take most of the black type races in this division all going against each other. The big battle that racing fans will be looking forward to is the dual that was last seen in the gold cup between Might Bite and Native River and both of them are quoted as joint 5/2 favourites by the sponsor of the race. Nicky Henderson says his superstar from last season is more than likely to start his season off at Haydock in preparation for his defence of the King George. (Credit Unibet and Racing UK) The trainer said: "Our intention is to be more ambitious and go to Haydock to start with, unless it was similar ground to last year, that would make us think again but then you have got to think where you can go? 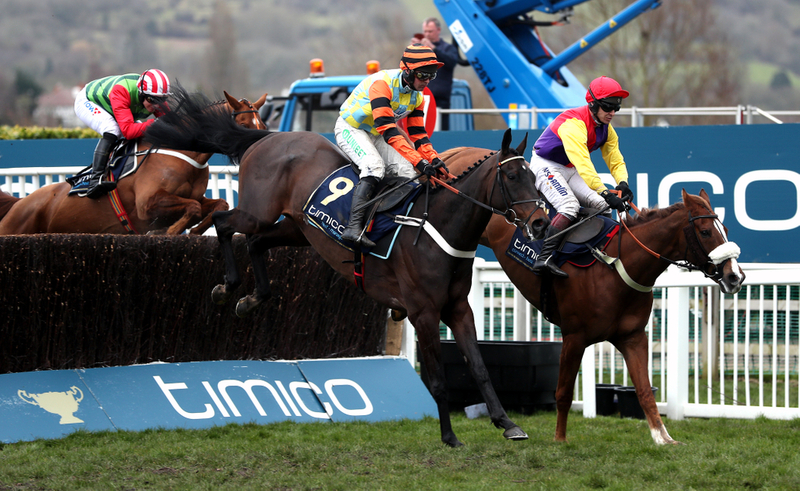 Native River is the main rival to Henderson and the staying star ended last season as Britains and Irelands leading chaser with a rating of 176 after taking the race of the season in the Cheltenham Gold Cup. The eight year old was only seen twice before his emphatic performance at the festival but in this campaign his trainer and owner will be looking to give him more time on the track than what he had last season in better preparation for his title defence of the Gold Cup. (Credit Racing UK) Assistant trainer Joe Tizzard said: "Native River is in really good form. The plan is to run to Haydock in the Betfair Chase and we are really pleased with him. "He has come back into the yard and he actually looks bigger and stronger than he has ever looked before. "Native River came back into the yard two weeks after everything else, because he was due to run later than some of our other horses. "We will run him slightly more this year as injury held us up until the second half of the season with him last time so we could only really focus on the Gold Cup. "He is not ground dependent and, a bit like a lot of the top-class horses, he can handle any ground. "If he won the Betfair Chase at Haydock, there is the £1-million bonus and that might tempt us to run him in the King George at Kempton. A spring campaign would be followed with another tilt at the Cheltenham Gold Cup as his target. "It was amazing to win the Gold Cup and we are going to try and win another one. This season, we can target four or five races, including maybe Aintree or Punchestown if he came out of Cheltenham well.